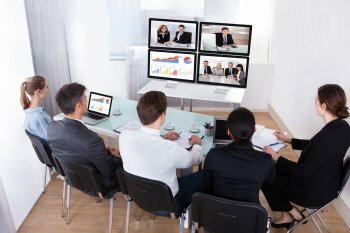 Video conferencing is a very popular way to hold business meetings these days, especially when communicating with international clients and business partners. But if you are video conferencing in San Jose , it’s important to know some of the mistakes that people often make. Watch this video clip to learn about the common videoconferencing mistakes, and remember that you can avoid these mistakes by using the video conferencing facilities at Pulone Reporting Services. Avoid logging in late; it’s better to log in slightly early instead. Another mistake is not being aware of your surroundings; people, objects, noises, and poor lighting can be distracting to both you and the person you are chatting with. Be sure to maintain the proper posture and dress code during the video conference, and never treat the video conferencing screen as a mirror. Lastly, if you aren’t speaking, don’t forget to use the mute button. While taking minutes during business meetings is not always prioritized, it is actually very important for a number of reasons. Accuracy and thorough documentation is important in business meetings and video conferencing not only for organizational purposes, but for legal reasons as well. Read below to find out more about the importance of accurate business meetings and how a court reporter in San Jose can improve the accuracy of your business meetings. In important legal or business meetings , recording the meeting minutes offers protection. Minutes document the actions of the board and the leadership, which is why they are considered legal documents by courts, auditors, and the Internal Revenue Service (IRS). To ensure that your business is in line with state and local laws, and to back up your tax returns, hire a court reporter whenever you have an important meeting. Corporate meetings, board meetings, depositions, arbitrations, and interviews are just a few of the settings in which our court reporting services have been very helpful. Detailed meeting minutes will add structure to a meeting as it is taking place. If you take minutes at every meeting and file them afterward, you will have a collection of well-organized documents that can be referred to for years and decades to come. In order to achieve increased structure and organization, however, the minutes must be very detailed. They should include facts of the meeting such as the name of the organization, the meeting date and time, the attendees, and a description of the topics discussed as well as the decision-making process throughout the meeting. Because well-recorded minutes add clarity and organization to business meetings, leadership teams and employees can use the minutes to create goals and action plans. They are also very useful for ensuring everybody is on the same page, even those who did not attend the meeting. Minutes are also very effective as a way of measuring progress and creating accountability. When you are leading a videoconference, it is important to be poised and prepared. Since everyone at the meeting you can see you, you want to put your best face forward. A great way to do this is to spend a lot of time preparing for the meeting. When you are really confident in the material, it will show in your videoconference and helps you lead the others through the material. The people who are participating in the videoconference are going to have their attention focused on the meeting. If you want to be able to reference the information from the videoconference, it is important to assign a specific person to take notes. You might want to ask someone who is not participating in the meeting to sit on the side and take notes that you can use once the meeting is done. Although videoconferencing technology is hugely important for modern business interactions, it is not always the best way to deal with clients and colleagues. If you are planning an important meeting that requires in-person interactions, the videoconference might not be the best venue through which to do it. If you are in charge of the videoconference, it is up to you to ensure that the meeting sticks to a certain timeline. Before you start the meeting, you might want to create a brief outline that you can follow once you start the videoconference. If a certain aspect of the meeting seems to be taking too much time, you should step in to keep the conference moving smoothly. Keeping the meeting on track helps you make the most out of videoconferencing in San Jose. What Do Legal Transcriptionists Do? 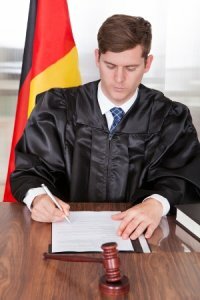 Legal transcription is an important element of the legal field. Legal transcriptionists are hired to transcribe any auto dictation created in legal cases. Legal transcriptionists must have strong typing abilities as well as an in-depth knowledge of shorthand terminology that enables them to translate the audio recordings into coherent print. Legal audio dictation can include hearings, interviews, depositions, and verbal and written notes. The legal transcriptionist goes through the documents and types them up into one easy-to-read document. While court reporters take notes of interactions that are happening in real time, legal transcriptionists type of information that has been previously recorded. They can often do the job from home. If you work in the legal field, it is important to find a reputable and skilled legal transcriptionist to help you stay organized. 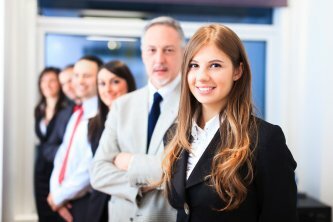 Legal transcription in San Jose helps you keep track of all of the information in your cases so you can be more effective at your job.